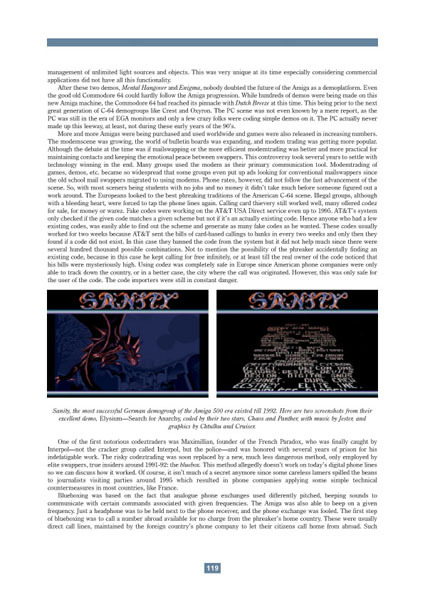 In Volume 1 author Tomcat tells the complete history of the Commodore 64 and the Amiga, both about the machines and about the underground subcultures around them, from the cracker- and warez-scene to the demoscene, from hacking and phreaking to the ASCII art scene. The book contains 350 pages and is illustrated with 480 color photos and screenshots. Interviews with scene celebrities, former key persons of the computer industry, citations from contemporary magazines and fanzines make the narrative history of the big adventure complete. This is the comprehensive guide to the golden era of home computers. If you actively witnessed this time the book will make you feel the urge for at least a substitute drug. We highly recommend this book to everybody who would like to learn more about the demo scene. ... for more details please check Sample chapter, Photos and FAQ. FREAX Volume 2 is under construction at the moment. 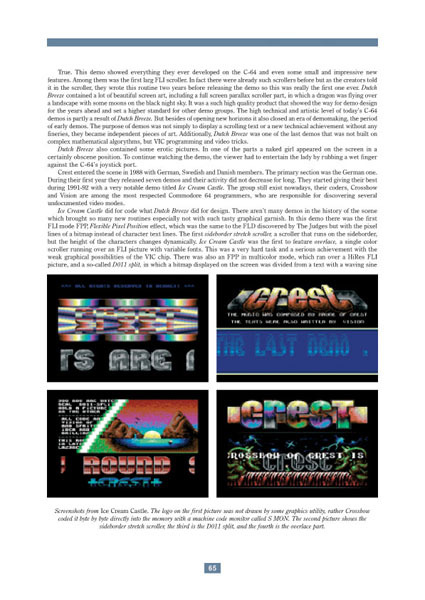 It will contain the history of the PC scene, along with the Atari, the Macintosh, the Sinclair Spectrum and many more. 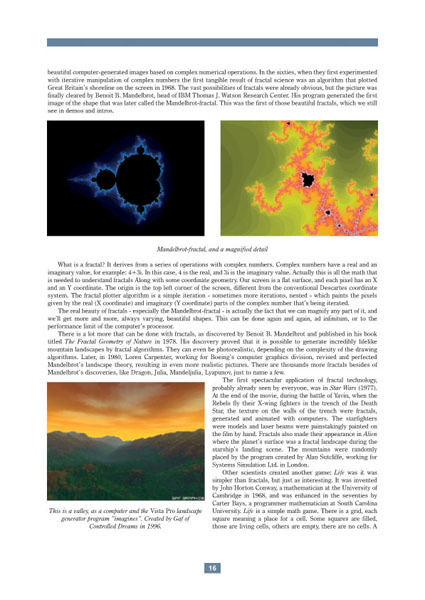 The volume FREAX - Art Album was released in August 2006 and presents a unique collection of about 1600 demoscene graphics at 286 pages. Quotation of the author Tomcat: "... when we wrote our first contact letter to another guy in some other town; and finally we found ourselves in a dazzling network of contacts, great projects running around us, brilliant pieces of digital art filling our screens. This was the magic of the demoscene. Years have passed, and our innocent childhood hobby has grown into an amazing worldwide subculture. Democoders, crackers, importers, musicians and graphists from all around the world changed the way we think about computers and the world itself, changed our life, changed us forever. We are special, we are demosceners. No outsider can possibly understand us. We are FREAX. It all started in 1996. As a known diskmag columnist, I always wondered why nobody has ever bothered to write a long article about the history of this world, the scene as we know it. 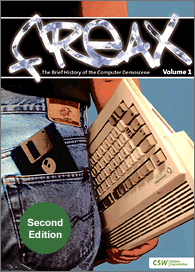 I started digging up traces of ancient times - how demos were made a decade before, how our computers were developed - and realized how rich and deep this subculture is. Even most sceners don't have an idea of its exact depth. This certainly deserves more than a mere diskmag article. I started writing a book, with the aim of covering everything ever happened. 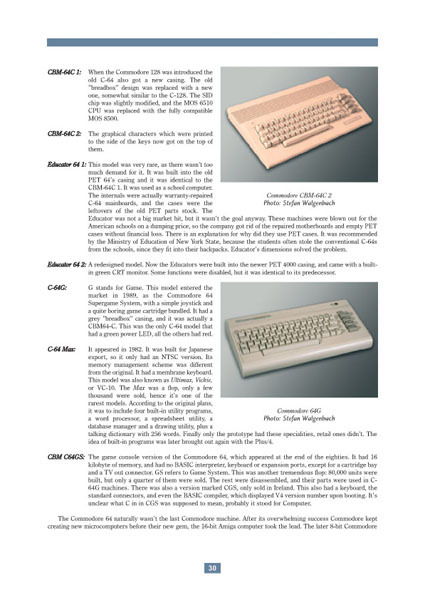 From the Commodore 64 to the Atari ST, from the Sinclair Spectrum to the PC - everything."